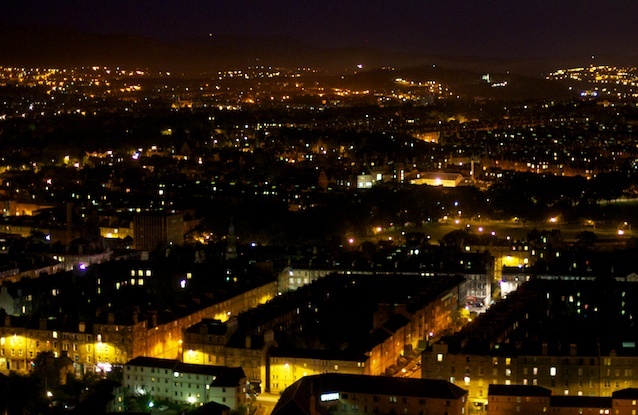 Yesterday marked the end of the Edinburgh International Festival, the Fringe's posh brother. I hadn't realised it was still on, or indeed that it was on at all, for which I am bitter. I rather like posh concerts (you know, the kind where you get a chair) and would have like to go to at least one. I guess I'll just have to apply to HPC-Europa again next year. Or maybe in two years time, in a year I might be too busy writing up my PhD. In any case, at the end of the Edinburgh International Festival there is usually a fireworks concert. 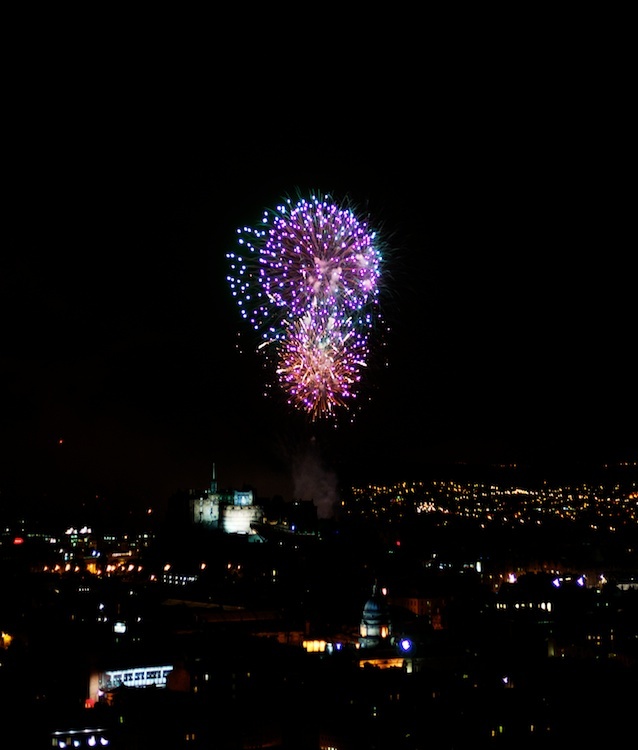 For the last few years it has been known as the Bank of Scotland Fireworks Concert, this year it was the Virgin Money Fireworks Concert, but the premise remains the same. They have an orchestra playing classical music at the pavillion in Princes Street Gardens, and they shoot fireworks from the Castle which is supposedly supposed to match the music in some way. Last year we had tickets, thanks to a friend of ours who works at the Bank of Scotland, and watched the concert from the Gardens. 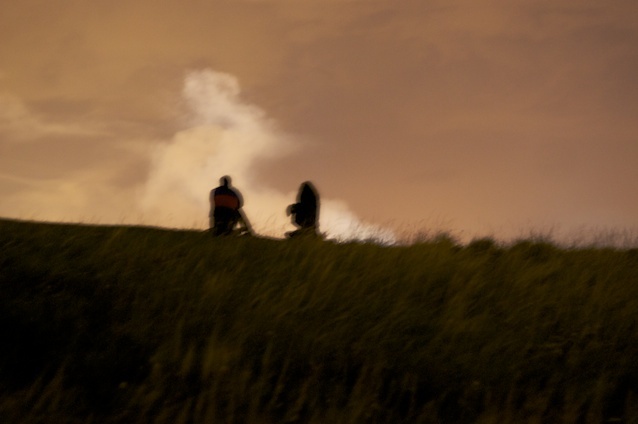 This year we didn't, and so Paul Anton and I decided to watch from Salisbury Crags. It turned out we weren't the only ones to think of that, and it was actually surprisingly crowded. The grass to the south of the Crags was pretty much packed with people who had turned up early with chairs and radios and everything, and there were groups of people all along the edge of the Crags themselves. There were also people who had two cameras on tripods and clearly took their photography a bit more seriously than I did. Most of my pictures turned out a bit blurry, and pictures of fireworks are almost never as good as I imagine they will be, but I did at least get a few where you can tell there is something going on. Finding a place to stand wasn't a problem. We had a very nice view of the fireworks, and we even heard some of the music because someone nearby had thought to bring a radio, but the fact that the sound from the fireworks was a good four or five seconds out of sync with the light and the sound from the radio meant we probably didn't get the optimal experience. Still, the fireworks were good, and I would actually recommend a trip to the Crags at night in any case, just because Edinburgh is quite pretty in the dark. I would have thought it would be obvious to you as a physicist that a fireworks concert should be seen from as close to the orchestra as possible. Light and sound, and all that jazz. How in sync was the radio? And could you actually hear the music from the park from where you stood? I obviously know about the difference in the speed of light and the speed of sound, but for some reason I didn't think about the sound from the fireworks. I just thought the view of the fireworks would be in sync with the music from the radio, but obviously the sound is an import part of the fireworks experince. I would have guessed the radio was less than a second out of sync, but I may be wrong. As I have previously observed, the delay in TV transmissions seems to be a lot more. In any case, I observed very little correlation between the fireworks and the music, but I can't say I was impressed last year either. I find it's more a matter of calm music - small fireworks, dramatic music - huge fireworks. Also, to get everything in sync, you shouldn't be as close to the orchestra as possible, but rather as close to the fireworks as possible, with a radio. Would've like to experience it.